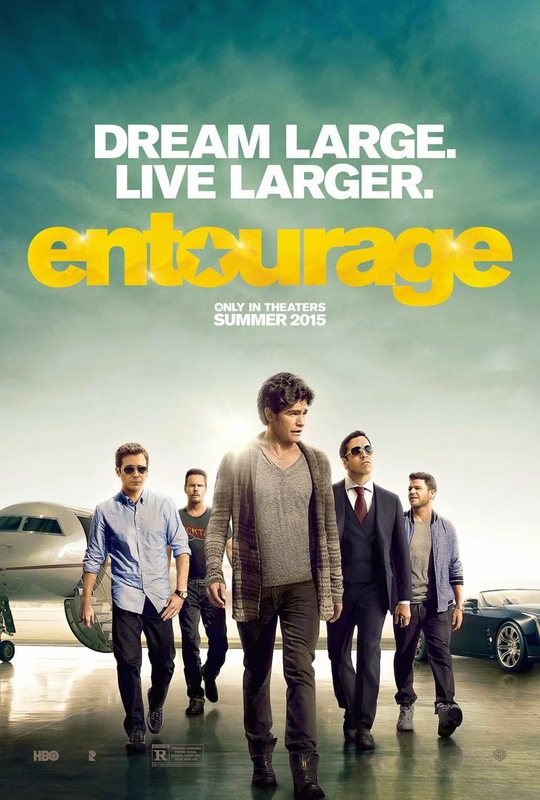 If you never watched Entourage when it was on t.v., this trailer for its big screen outing may put you off, steeped as it is in the show's own lore, but for fans of the show, they will be beyond excited for the return of actor Vincent Chase (Adrian Grenier) and his tight knit group of friends and hangers on as they encounter problem upon problem as they try and get Chase's latest movie made. The humour is spot on what people remember form t.v., and the show worked best when it focused on the drama that goes hand in hand when dealing with the craziness of the Hollywood studio system, so of course that's where this new trailer excels at piquing your interest, as do the army of guest stars, from a blink and you'll miss it appearance from Gary Busey (following his wonderfully weird guest turn on the show) to Liam Neeson. It may be a tough sell for those who don't know Ari Gold (an energetic and foul mouthed Jeremy Piven, who is definitely the show's secret weapon) from Billy Walsh, but if they can translate what made the show great onto the boig screen, this will be one well worth keeping an eye on.